I've decided to read Are Women Human? by Dorothy Sayers. Dorothy Sayers was one of the first women to graduate from Oxford University. One of the things I admire about Dorothy Sayers, is that she did not devote her time to talking or writing about feminism, but instead lived her life doing the work for which she was suited whether or not society understood her choices as "feminine." 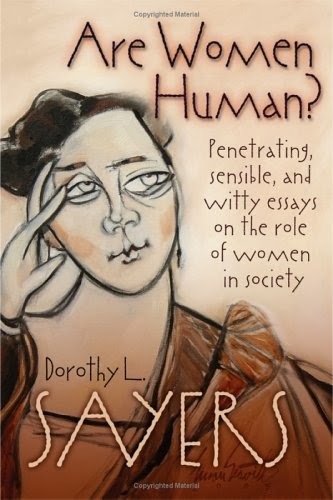 My little volume contains the two essays that Sayers wrote about women's role in society: "Are Women Human?" and "The Human-Not-Quite-Human." I'd love to hear about your reading choice for Feminist Literature in March if you are participating!